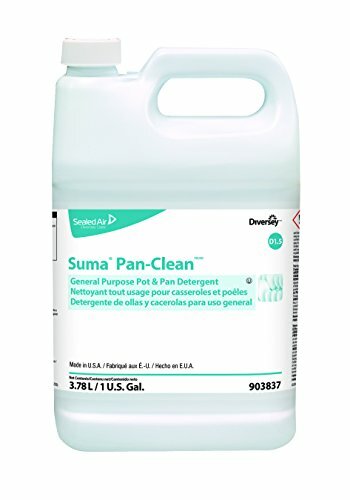 Diversey Suma 903837 Pan-Clean, General Purpose Pot and Pan Detergent, D1.5, 4 x 1 gal/3.78 L Containers (Pack of 4) by Diversey at Blog Free Here. MPN: 903837. Hurry! Limited time offer. Offer valid only while supplies last. Pan-cleantm/MC detergent is a non-corrosive, highly-concentrated blend of cleaning agents that delivers great cleaning in a three-compartment sink. Pan-cleantm/MC detergent is a non-corrosive, highly-concentrated blend of cleaning agents that delivers great cleaning in a three-compartment sink. It delivers great grease cutting on even the toughest soils. Dark Blue in color with a floral scent.